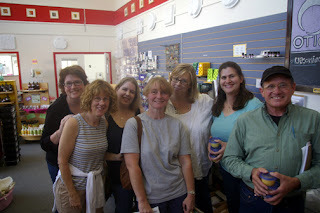 Here are some photos from Alicia Grosso’s Soapmaking Class! A big shout out and thank you to Alicia and her sweet husband for staying overnight in Bellingham to teach. They even hung out to do dinner with the whole class. Alicia was the sweetest (!!!) person and I am frantically trying to get here up to Bellingham next year for a full weekend of classes. Previous Post: Life is Good! Next Post: They love us! They love us!